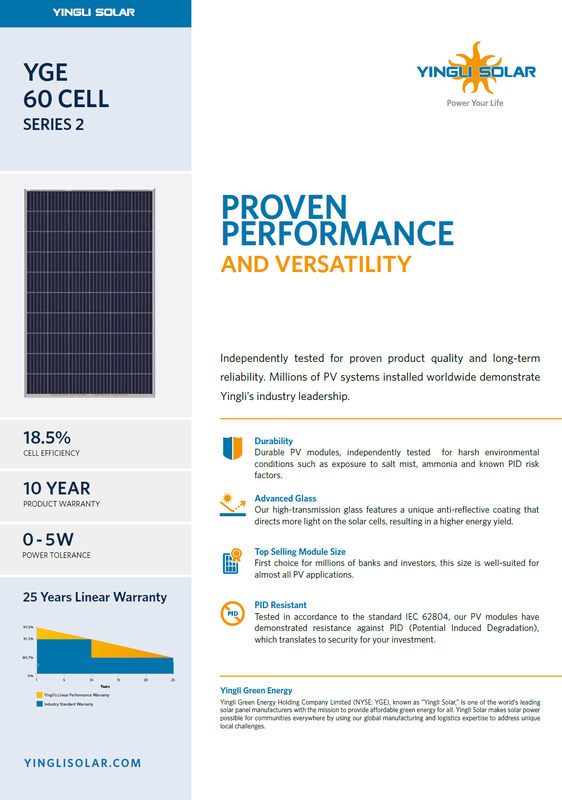 Yingli signature product, the YGE 60 Cell, is the most versatile module. While compact enough to fit on residential and commercial roofs, it is still economical enough to meet the needs of larger, utility-scale projects. 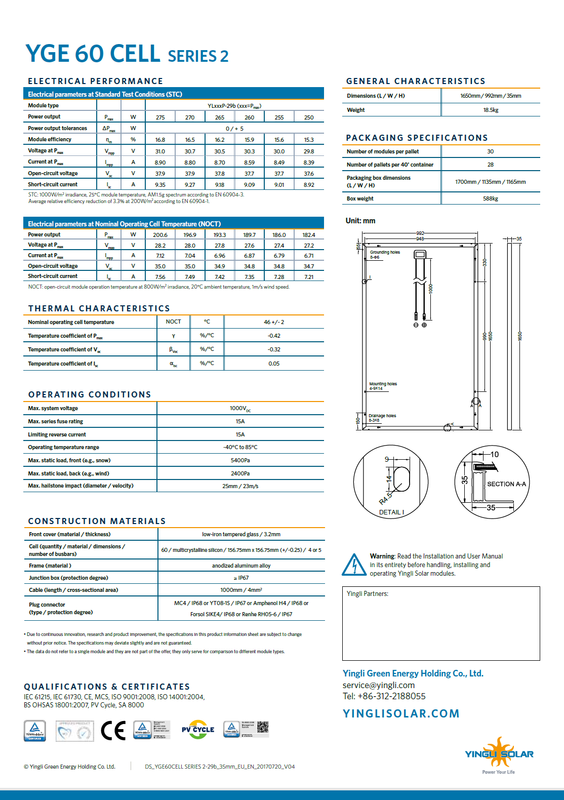 This series is UL and IEC certified which are both universally recognized and respected throughout the solar industry.